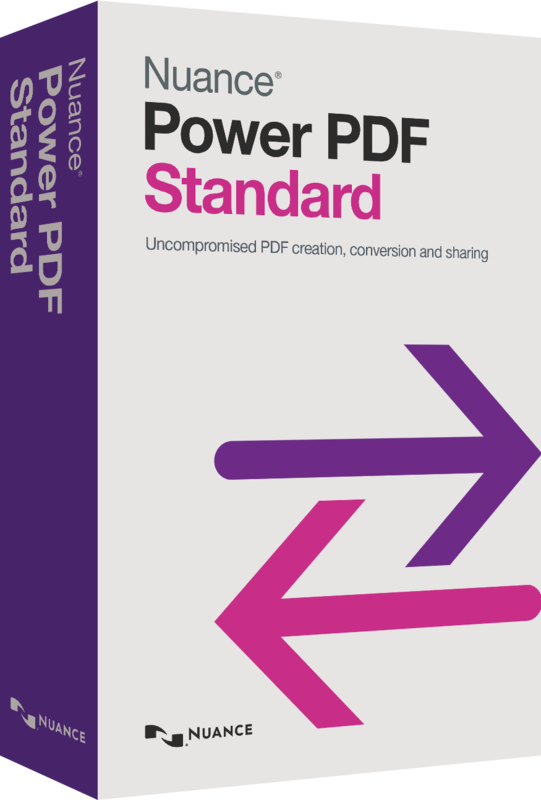 PowerPDF Standard Download . Software from Nuance from Ireland and UK. Software from Nuance - PowerPDF Standard Download . Nuance Communications is an American multinational computer software corporation that has deleloped a number of software applications. Its headquartered are in Burlington and the company provides speech and imaging applications, including .PowerPDF Standard Download . The Next Generation of Nuance -Download Version - this software is available for immediate download. A CD version is also available. Power PDF Standard makes it easy for demanding customers to gain control over PDF files with the ability to create, convert and assemble industry standard PDF files with the right features for searching, editing and sharing through your favourite cloud service. Power PDF is the next-generation PDF solution that supports touch-enabled Windows® 10 devices so you can be productive on the go or at your desk. It delivers all the performance and accuracy you expect from Nuance at a value thats hard to beat. Free yourself from the compromises of limited or restrictive PDF software with Nuance Power PDF Standard.